A look back at the site statistics of June. 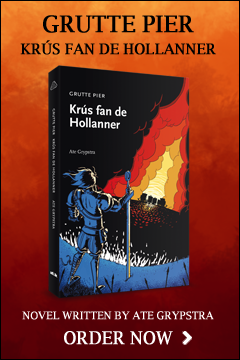 The big thing in June was the opening of the pre-orders for the official Cross of the Dutchman novel by Ate Grypstra. Behind the scenes we’ve been working on improving the character animations and the group behaviors. We’ve had 2.782 visitors (-52%) and 1.961 unique visitors (-48%) generating about 9.066 page views (-54%). On average, a visitor spends about 3.26 minutes (+2%) on the site. Over 38% (-32%) of the traffic originates from referring websites. Facebook took first place, followed by twitter and wikipedia. 48% (+50%) of the search traffic came again mainly from Google. Top keywords being ‘Not provided’ (? ), ‘Cross of the Dutchman’ and ‘http://crossofthedutchman.com/’, the strange mystery keyword is still there. Direct traffic accounted for 14% (+17%). Our newsletter wasn’t able to generate enough Campaign traffic to play a significant role in all this. 0% (0%). The chart above shows our site statistics for the month June. There’s a big peak at the beginning of the month which of relates to the announcement of the novel pre-orders. The other peaks can be tracked back to articles we’ve posted. Average daily traffic was 93 visits (-52%) a day. In short, June was an average month with nothing much going on. June 4th had the top peak of 199 (-65%) daily visits. The Cross of the Dutchman community grew to 990 posts, 51 topics, 119 members, 252 Facebook fans and 508 twitter followers. Up to now we used 53.633 words to create 115 posts resulting in 382 comments. The article that drew the most readers this month was ‘Pre-order the official novel now!‘, where ‘Picture of the week #18‘ was a good second, ‘Pre-order the official novel now!‘ (again) and ‘Picture of the week #19‘ got the most comments. We will post updates on site statistics on a monthly basis. Just leave a comment in case you have suggestions for other stats you might be interested in.